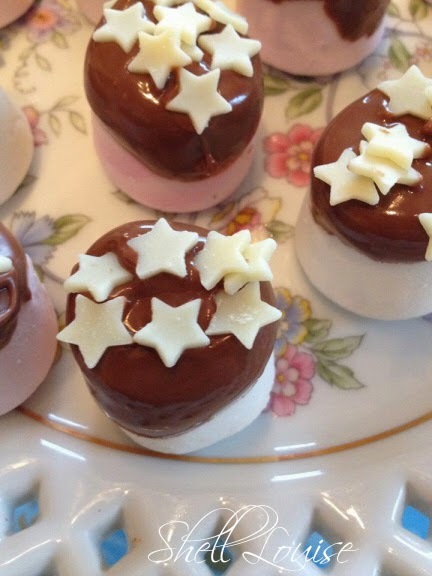 The only problem with these chocolate marshmallow treats is that it’s too hard to stop at just one! 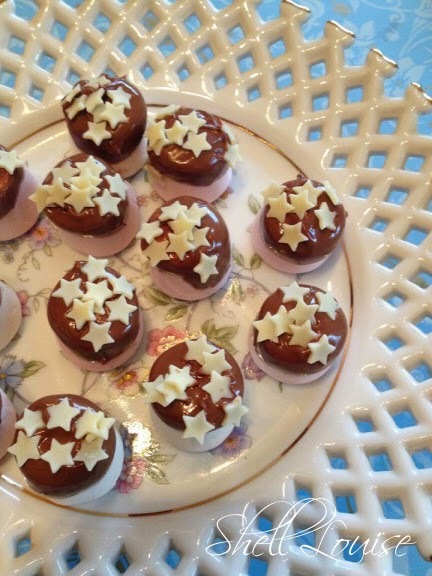 We’re having an early Christmas taster session at Slimming World tomorrow. 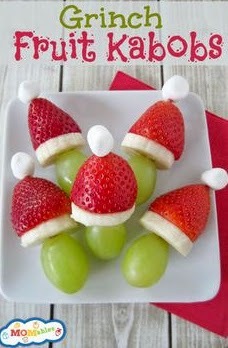 I was going to make little Grinch fruit kabobs…..
but after eating so much fruit this week I couldn’t face anymore! 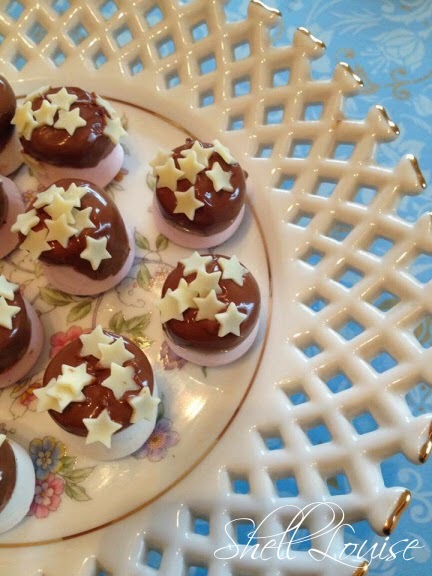 I wanted something that felt a bit naughty but didn’t have too many syns so I dipped some marshmallows in chocolate and decorated with white chocolate stars. The bar of chocolate I used was 27 syns for the 100g bar. 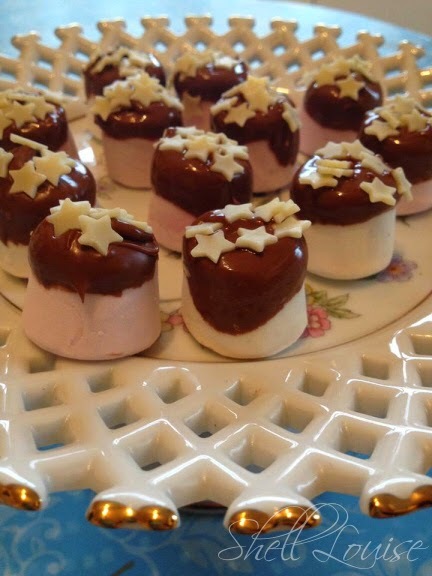 I used half a tub of chocolate stars, which worked out at 5.5 syns and each marshmallow (200g bag Tesco Marshmallows) was 1 syn. 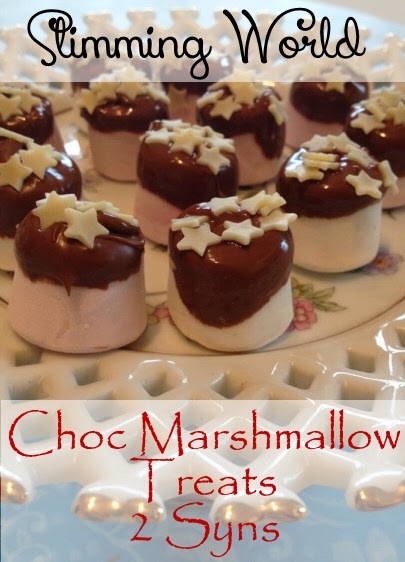 I used 42 marshmallows so the syn value for the whole lot was 74.5. This made them a little over 1.5 syns each so I rounded up to 2 syns to be on the safe side! My problem now is that they’re in the fridge, ready for the morning but they’re calling to me! I think they're calling to me, too.